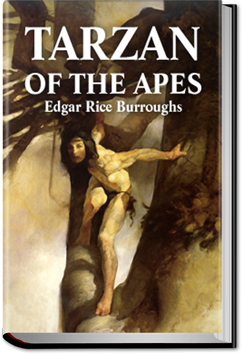 Tarzan of the Apes is Burroughs’ exciting story of an English lord, left by the death of his stranded parents in the hands of a motherly African ape who raises him as her own. Although he is aware that he is different from the apes of his tribe, who are neither white nor hairless, he nevertheless regards them as his “people.” When older, larger, stronger apes decide that he an undesirable to be killed or expelled from the tribe, it is fortunate that Tarzan has learned the use of primitive weapons. This entry was posted in Action/Adventure Books and tagged all you can books, audio books, books, download audio books, free audiobooks download, free ebooks for kindle, listen to books online free, unlimited action and adventure books on February 2, 2015 by allyoucanbooks.